Inspired by classic films from the 60s and 70s of the last century, a racing game with feature elements. Players play the role of a secret police officer, who works out mafia structures by performing tasks commissioned by gangsters. Bullit (1968), as well as the series Starsky and Hutch (1975-1979). Originally released as a PlayStation game, in a few months it had a port for PCs and Macs, and with time also conversion to other platforms. The main character of Drivera is Tanner - a New York police officer, who under the guise of working out criminal syndicates. Using their outstanding driving skills, the officer performs the tasks assigned by the mafia bosses, gradually gaining their trust. The game takes place in four American cities: Miami, San Francisco, Los Angeles and New York. In addition, after the main campaign (or thanks to special codes), players can also unlock the British Newcastle, where the development studio is located. The representation of individual locations has little in common with the real communication system, but in a few cases the game creators have made a lot of effort to make the scenes and tasks in the game associated with film prototypes, an example of which is the "Training" mission, which is a kind of a copy of the beginning of the film Driver. Cars in the game have been imitated with great care and most of them are classic "muscle cars" from the 60s and 70s (e.g. Ford Mustang from 1967). Tanner's tasks are quite varied - starting from transporting someone or something, through stopping a vehicle, intimidating a taxi passenger or losing a chase. Relatively large locations where you can move freely encourage fast and risky driving. The advantage of the game is the ability to record movies and watch repetitions of the action seen from the perspective of cameras located in different points of the cities. 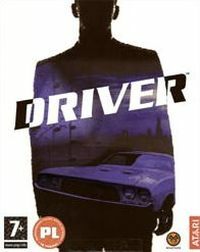 Driver was recognized by critics as the Best Race Game presented at Electronic Entertainment Expo (E3) in 1999.